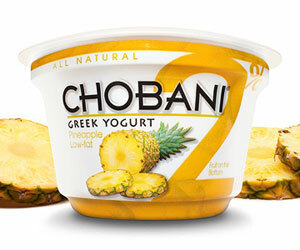 On Monday, I brought a pineapple Chobani yogurt into work and never ate it. I also had a mango one there from the previous week. Oops, I guess I am a Chobani hoarder. My hoarding came back to bite me when I never ate my yogurt on Monday or Tuesday because I had to leave work early on Monday and called in sick yesterday. I caught part of Craig's nasty virus that has lasted over a week, but thanks to the flu shot, I think I have resisted getting something worse. Anyway, when I went to get my pineapple Chobani yogurt that I was so looking forward to for lunch today, it wasn't there. I was pissed and then decided to take action. I e-mailed my department and asked if someone accidentally took it. My co-worker fessed up that he accidentally ate it and would replace it. I said, at about $1.25 a pop and it being one of my main sources of protein, I would appreciate that. I was thankful to have found the culprit and that he was super nice about it. Have you ever had someone steal your lunch or take something of yours from the work fridge? I always fear this sort of thing happening and how I'll respond. I guess it was just better to ask and not brood in anger in my cubicle all afternoon. The worst situation I ever witnessed was when my boss threw away my co-worker's salmon that she paid about $8 for because he thought it was moldy and old. She made him purchase a new one and was picky about the type he would buy for her. I thought to myself, "he'll learn his lesson from this, how embarrassing." I didn't eat anything all that interesting today, except for one of the last items from my lollihop box, which was this bar. 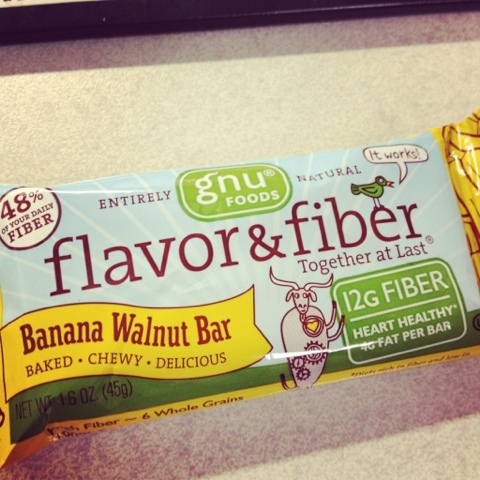 It was super tasty and had lots of fiber, so it filled me up mid-morning. On a break at work, I was looking at Pinterest on my phone and saw avocado pasta posted. I knew that was what I wanted to have for dinner because there was an avocado ripening at home that was begging to be cut open. 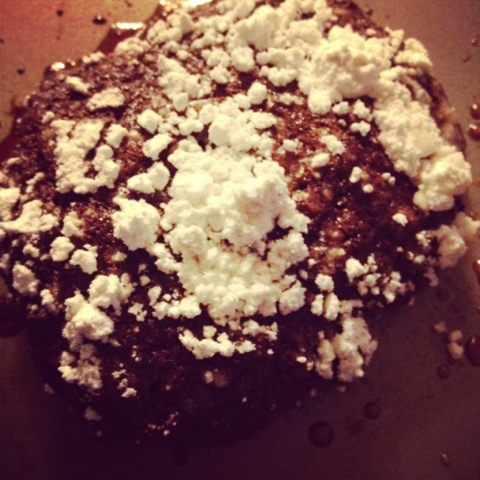 Turns out the recipe was from Angela at Oh She Glows, who always posts excellent recipes. 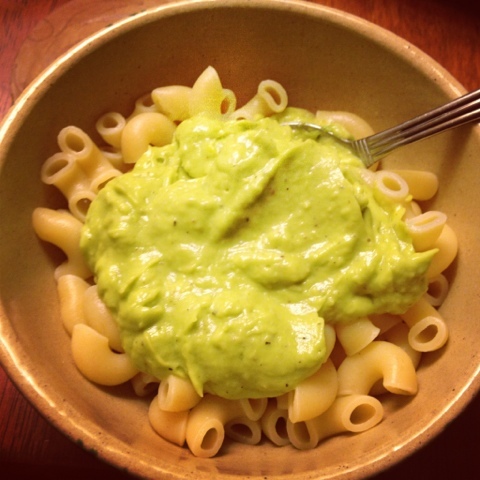 It was so easy to make (which is why her blog title for the recipe is called 15 minute creamy avocado pasta). Too bad all I had were some macaroni noodles to pair it with. It still tasted divine. It actually sort of reminded me of the flavor of guacamole. So if you love guacamole like I do, this recipe is perfect for you! 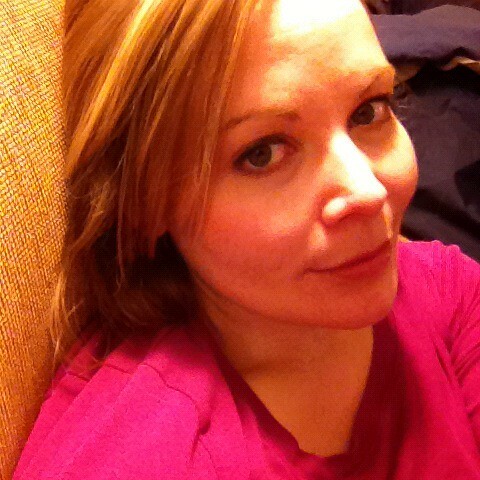 Time to go read my kindle before bed! 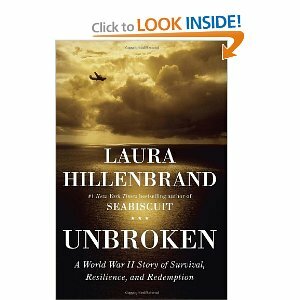 I started the book Unbroken this week and it's a good one so far. I coincidentally keep reading books about the start of WWII. I think I need a lighter book to read next, but you take what you can get from the library overdrive system when it comes in! 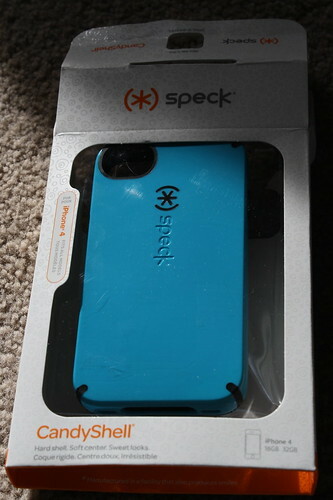 I've used my Speck CandyShell iPhone 4S case for a couple of weeks now so I thought it was time for a review! When you want the look and feel of a hard case and the protection of a soft case... choose the sweet third option: CandyShell! 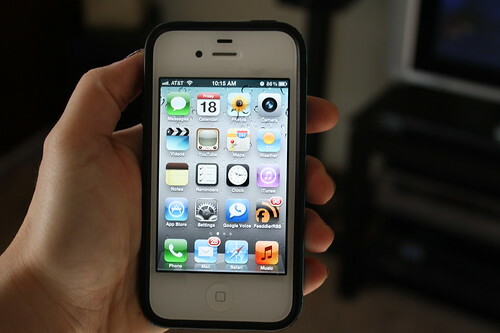 It combines both hard shell and soft rubbery protection in a one-piece flexible iPhone 4S case. The sleek, hard outer shell protects against impacts, plus slips easily in and out of your pockets. The rubbery lining absorbs shock and also extends to a bezel, which protects your screen if it falls screen-first, and gives it no-slip stability when you place it face down. The two-layered protection also makes for some sweet two-toned color options. 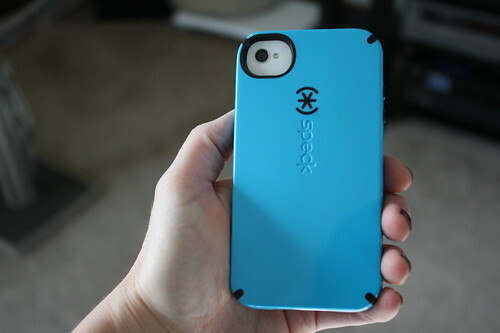 One of Speck’s favorite cases for iPhone 4S! 1) It offered a lot of protection and shock absorption for a clutz like me. I haven't dropped my phone yet, but when I do, I know I'll be glad I have a protective case for this $200 phone. 2) The design was attractive and I liked the color I picked out. 3) The price was reasonable. In the end, I paid $28 because I found a coupon online by googling "speck + coupon." 4) So many cases felt slippery on the back (you can feel through the case at the store) and reviews stated this was a problem with other brands. 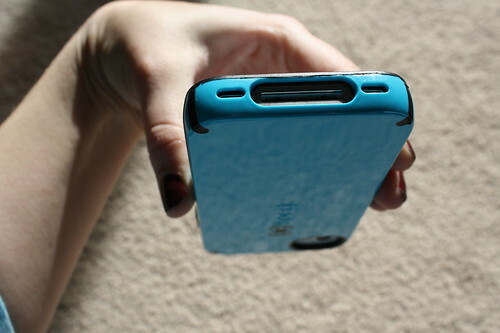 The Speck case does have a grippy feeling, but the back is smooth. 5) The buttons all work well still and are protected. The camera cutout is perfect. 6) It was easy to put the case on and there are instructions for removing it. 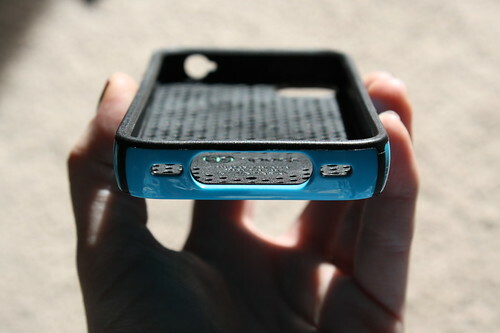 7) The case design does not interfere with plugging in the charger. 8) There is a one year warranty on the case. 1) For some people, this case may be somewhat bulky. It's worth it for the protection though. 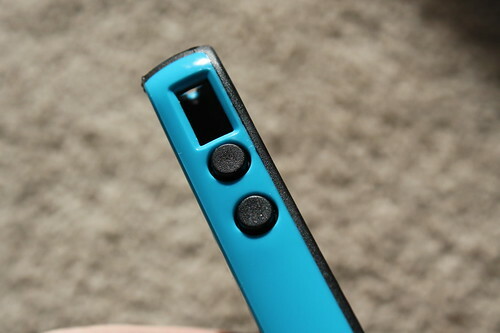 2) The back of the case scratches, but it is really not that noticeable or that much of a problem. Just a con to point out as some may be disappointed by this. 3) Some cases (Incipio brand) do come with the screen protector/film. Mine did not and I still have to purchase one (if you have a brand that works for you, please let me know)! 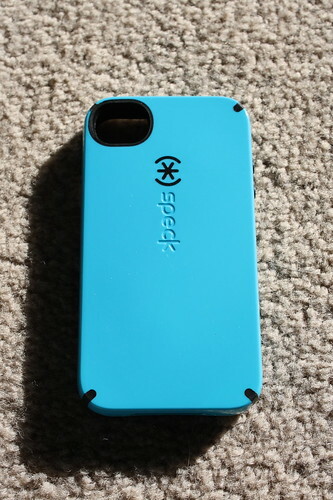 I paid for this case with my own money and was in no way compensated by the Speck company for this review. 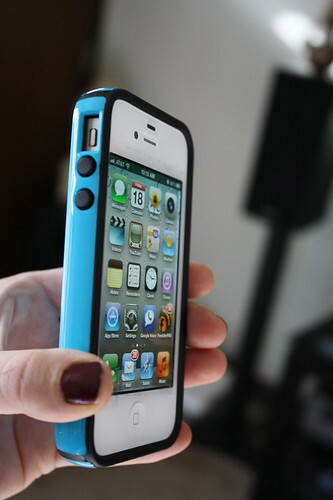 I just felt like sharing it for those people who are researching iPhone 4S cases. 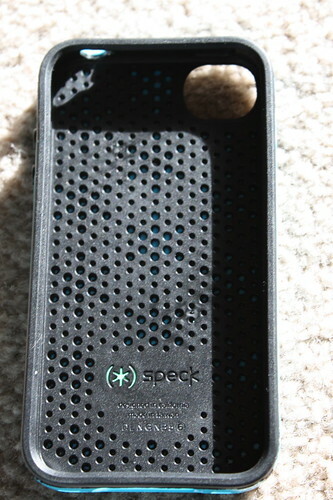 If you have any questions about the Speck case, please let me know! I have so many food documentaries this year! I guess it's just that many have been released recently. 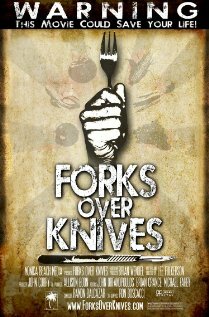 I finally saw Forks Over Knives and really enjoyed it. Made me want to stick with my mostly vegetarian diet even more. I thought the doctors featured in it presented a compelling story and reasons for a plant based diet. 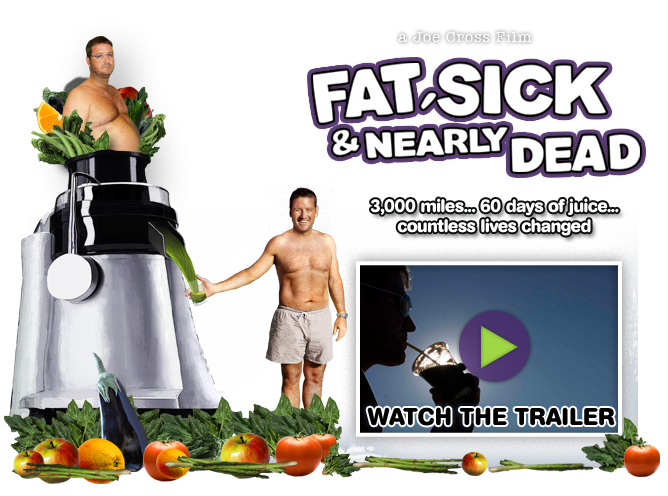 Over the weekend, Craig and I watched Fat, Sick and Nearly Dead. It definitely influenced me to get out the juicer my mom gave me (and attempt to get it working but something is preventing me from powering it on, argh). 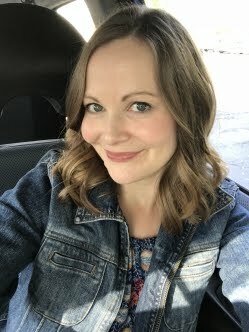 I am not sure I could do a 60 day juice fast and I don't think advocating for that long of a fast was the point of the movie anyway (it was just a means to get two men to lose weight quickly). The message was definitely that Americans are eating way too much fast food and need to incorporate more whole foods into our diets in order to get healthy. I loved seeing Joe's story first and then witnessing the positive influence he had on Phil (and his brother Bear). Phil's story was such a heartwarming one and I am glad he committed to a healthier lifestyle through Joe's help. I wish more Americans who are consuming fast food daily would watch these movies and listen to their positive messages. Yes, daily juicing can be pricey, but the effects of a fast food diet can be medically expensive in the long run. Have you seen any other food documentaries lately that you'd recommend? I also liked Foodmatters. Ever since I saw Southern Charm's recipe for crinkle cookies, I knew I'd have to copy her and make them myself! 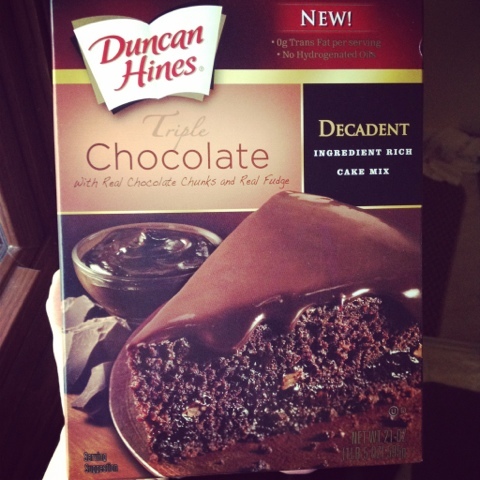 So, I used one of the coupons for a free Duncan Hines product that I received from the Foodbuzz Tastemaker program to get a box of the Triple Chocolate decadent cake mix. 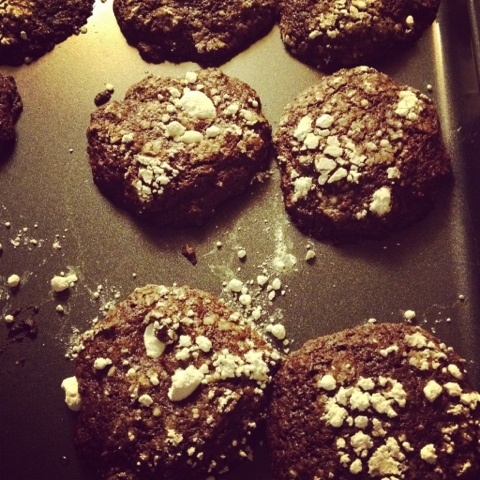 The cookies were easy to make using her recipe and they turned out well. They don't look quite the same as hers, but they sure taste yummy. Craig said they're like little brownies. He has a good point--they're meant to be chewy and soft like a brownie. 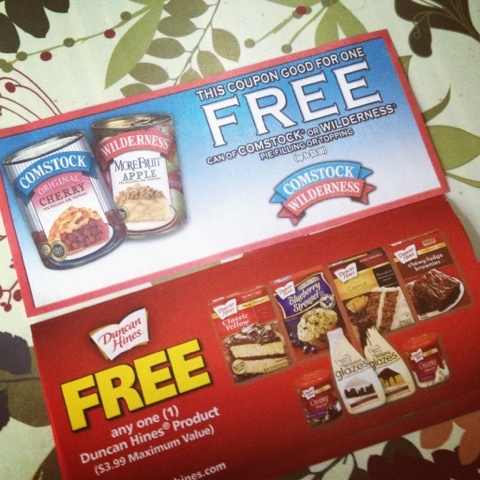 Want a chance to win two Duncan Hines coupons worth up to $3.99 each? Enter below by 7 p.m. on Thursday, December 1st! Be sure to leave your e-mail address in your comment. 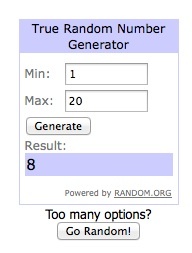 I'll contact the winner via e-mail and post the winner's name back here on Thursday. I also got a pie filling coupon that I need to use around the holiday. 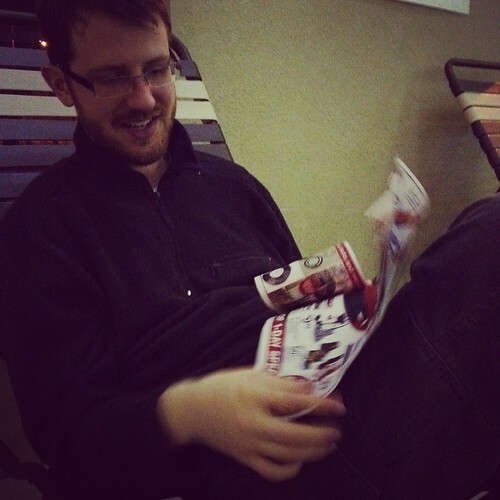 Sorry, can't give that one away, it's just pictured below with one of the coupons the winner will receive. 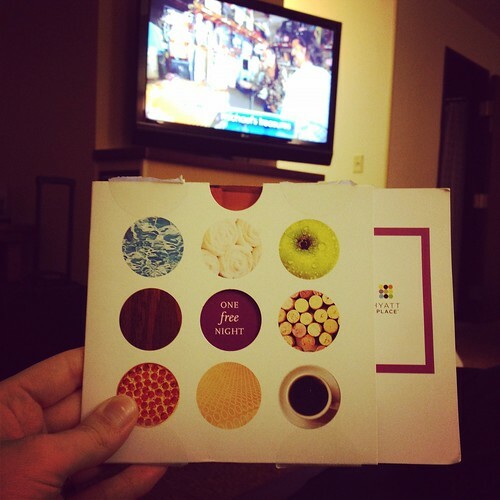 1) Tell me how you may want to use the coupons for baking this holiday season. 2) Follow my blog via e-mail or google reader. If you're already a follower, say so. 4) Tweet about the giveaway and provide a link to the giveaway in your tweet. Hey! Hope you had a good Saturday and didn't spend it shopping in the madness that is Christmas shopping. If you want to put me in a bad mood, just put me in a store at this time of year. I wasn't so patient today at Target. I'd much rather shop on cyber Monday and get cash back with ebates and free samples with purchases. Just call me Oscar! (I kind of want this shirt). 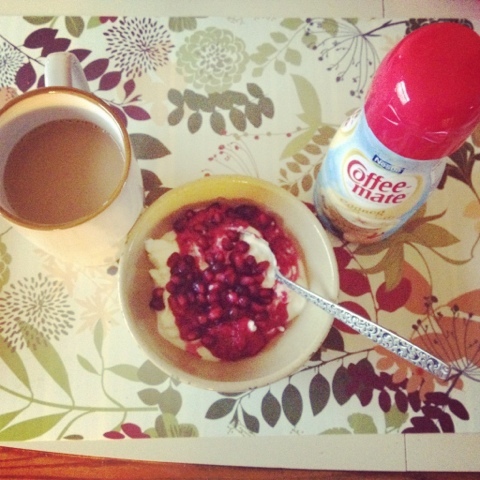 Breakfast this morning was greek yogurt with cranberry orange relish and some pomegranate arils. Great way to use some Thanksgiving leftovers if I must say so myself! Oh and since it's only out for about the next month, I grabbed some Eggnog Latte Coffee Mate creamer. I felt like indulging in a less healthy coffee creamer and it was delicious with my coffee. Who needs Starbucks eggnog lattes when you can use a creamer at home? 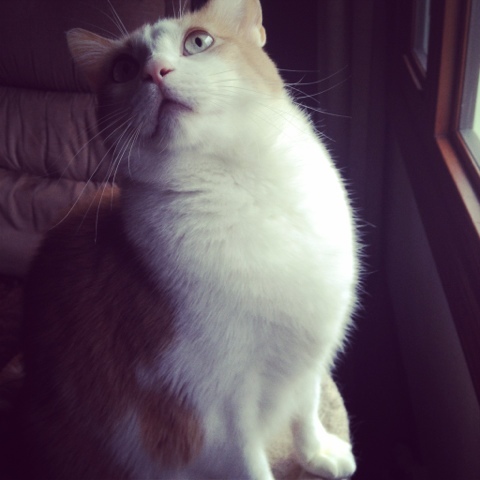 Karma is cute so I can never resist including him on the blog. I'm not very adventurous with my hair. I need to watch more videos from The Small Things Blog and learn how to do my hair properly. Adventurous for me today was putting it half up and it looking ok. 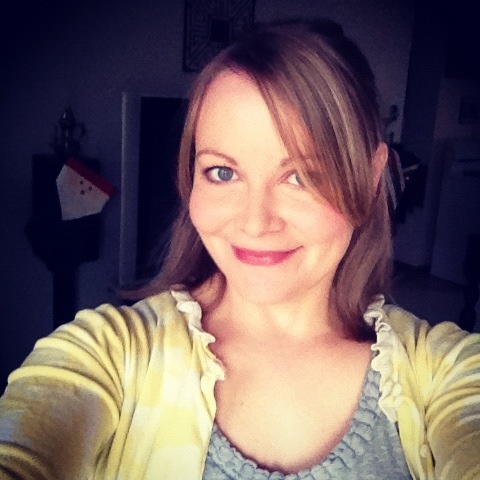 I still haven't mastered my side bangs because of my darn cowlick. 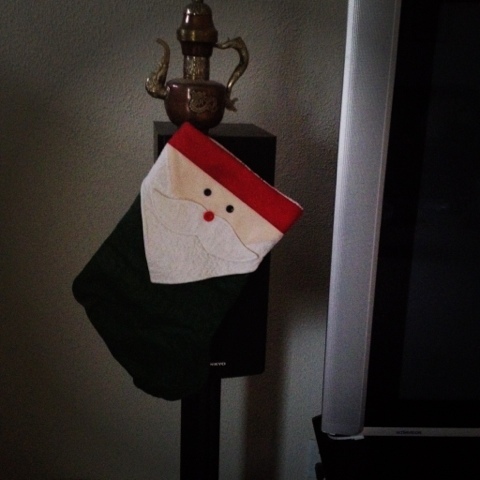 Did you see the santa stocking in the background of the picture above? 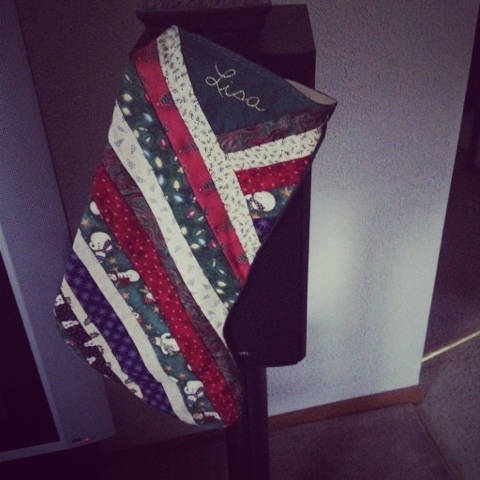 It was made by my mom and I gave it to Craig our first Christmas together. I've been craving avocado like mad lately and finally picked up two at the store last night. 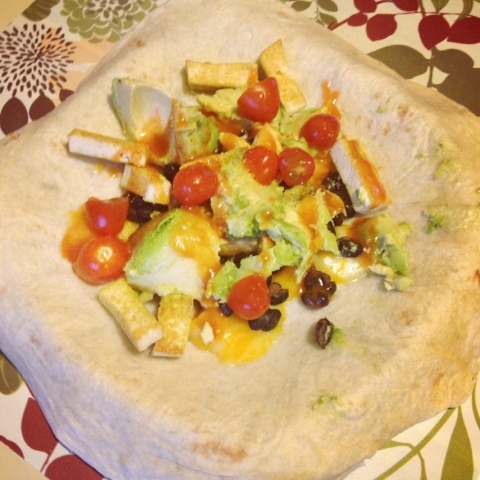 It tasted delicious in my tofu, black bean, Frank's Red Hot, and cheese burrito at lunch. It hasn't been the most productive Saturday, but there's still the evening. I should have some gluehwein and put the tree up tonight. 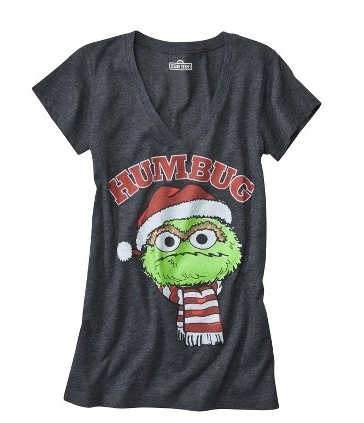 That'll get me in the spirit of the season and maybe I won't be buying that Oscar shirt from Target after all. 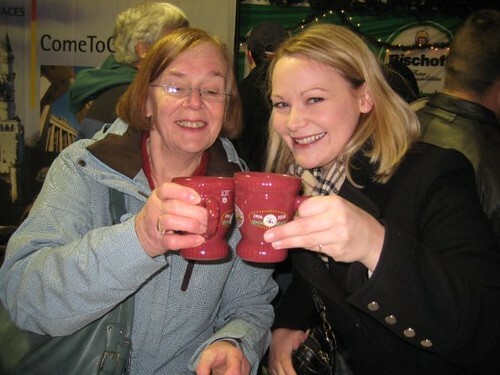 It seemed like everything was against us going to Chicago today for the Christkindlmarket at Daley Plaza. 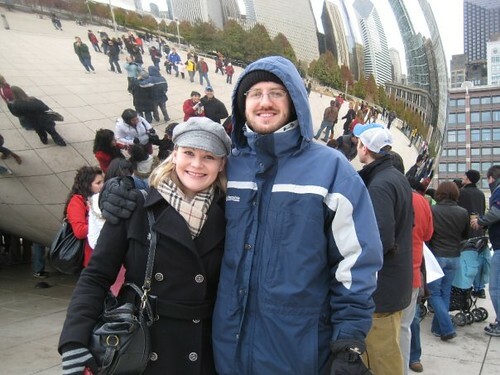 Earlier in the week, we were looking at the forecast and rain + 50 something degree temps didn't sound like fun when you wanted to walk from the train station and to a deep dish pizza place. Then, Craig got sick. Pretty sure he has the flu because of his fever over the last couple of days. Boy am I glad I got the flu shot again this year. And now that it's almost December and our weekends seem to be getting full of things to go to and do, we'll most likely not make it down to the market this year. I'm hoping for next year! Instead, I'll leave you with pictures of our trip down there three years ago and a recommendation to go if you can! 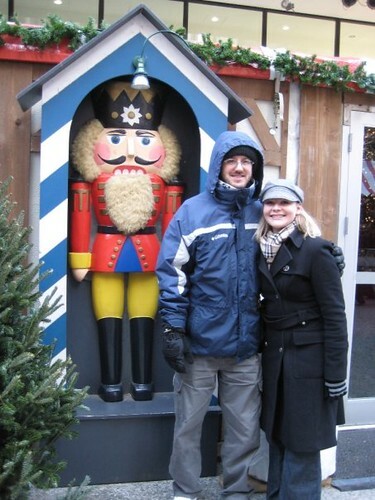 It's so much fun to buy Christmas gifts at the market and to feel like you have escaped to a German or Swiss Christmas market for a little bit. Take the Metra from Kenosha if you're a Wisconsinsite. The weekend pass is only $7 (we used to pay $5) and it's unlimited rides all weekend. Parking at the Kenosha station is easy. 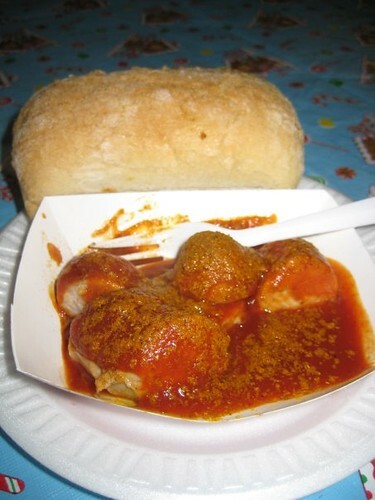 Eat some currywurst for me if you go. Instead of Chicago, I'll be going to Target and Marshall's, attempting to find a few Christmas gifts and buying Kleenex and cat litter. What an exciting Saturday, huh!? 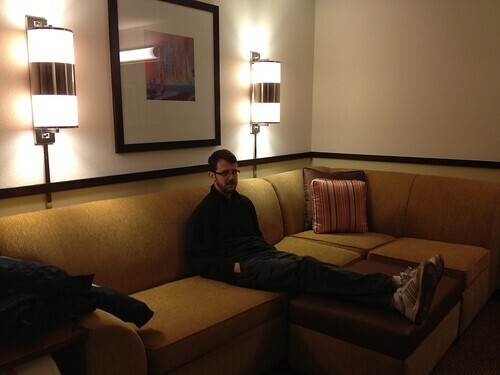 Last night, we did something we never had done before--stayed in a hotel in our own city. 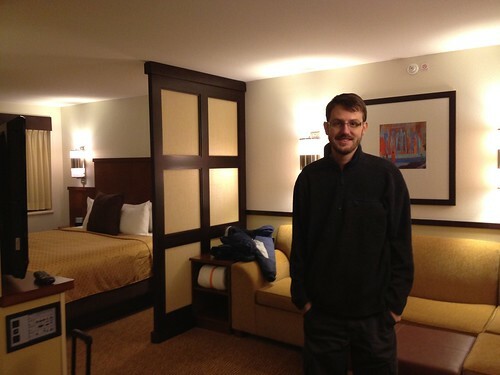 I received a coupon for a free night at a Hyatt Place hotel and it was expiring at the end of the month, so we decided to take advantage of it and stay at the Milwaukee West location. 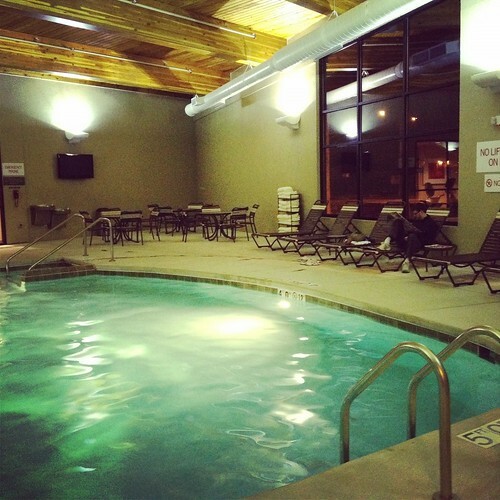 We didn't have to pay a penny to stay there. 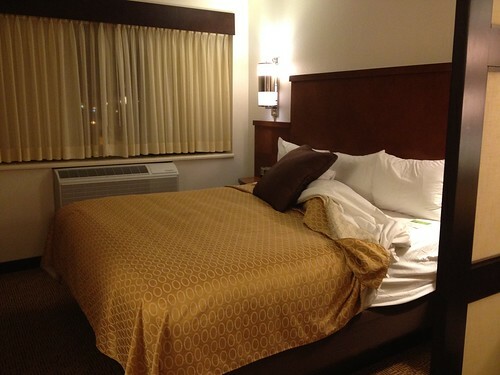 The hotel is located off of Silver Spring Drive and is easy to get to off the freeway. 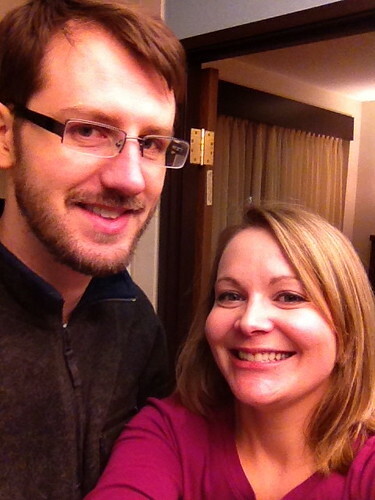 Check-in was super fast and friendly. 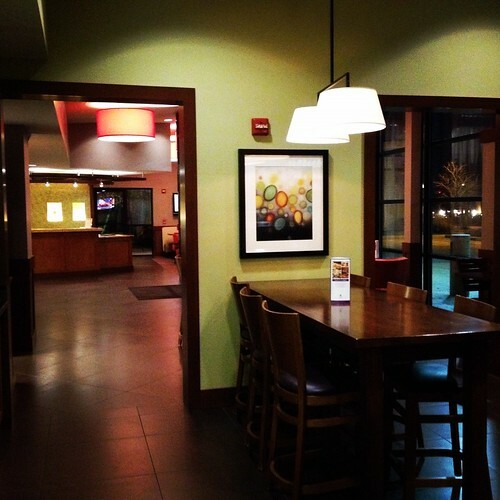 The lobby was modern and inviting. 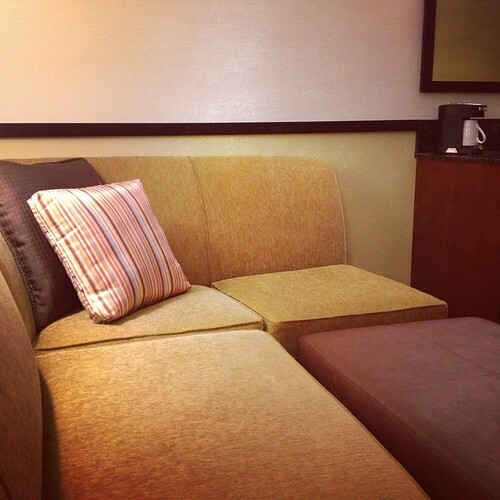 Our room was nice for a more extended stay because it featured a big couch and a divider for the bed area. 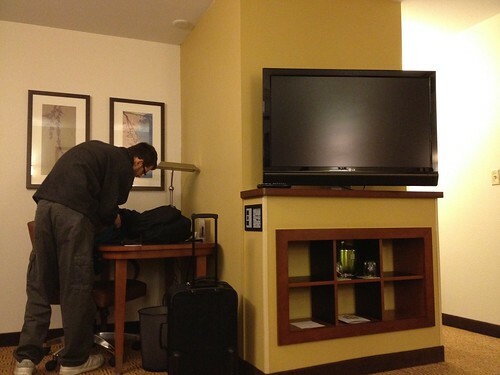 The HD TV was able to be moved facing the couch or the bed. 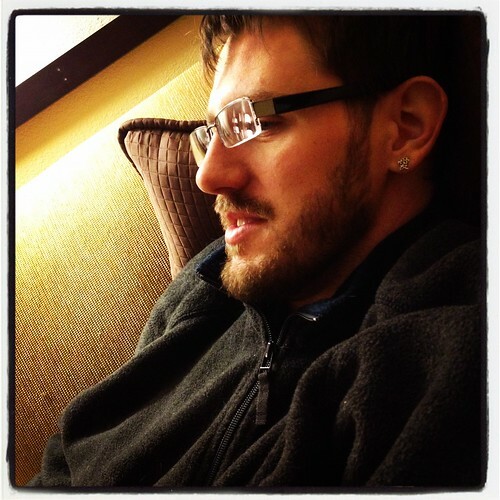 Craig is still not feeling well, so we lounged around on the couch for a bit. 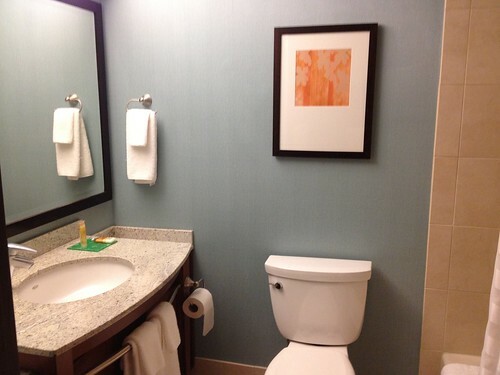 Area outside of the bathroom to get ready at, which I did this morning. 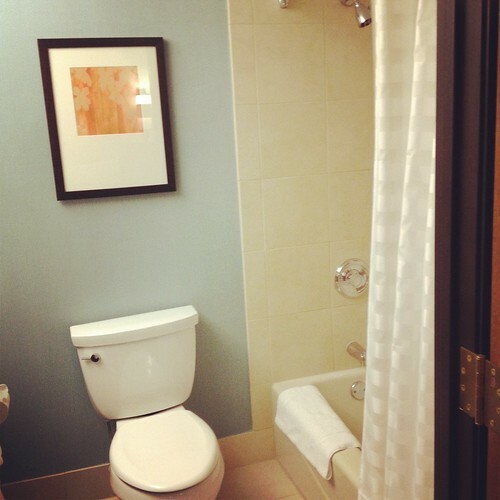 The bathroom was clean and updated. 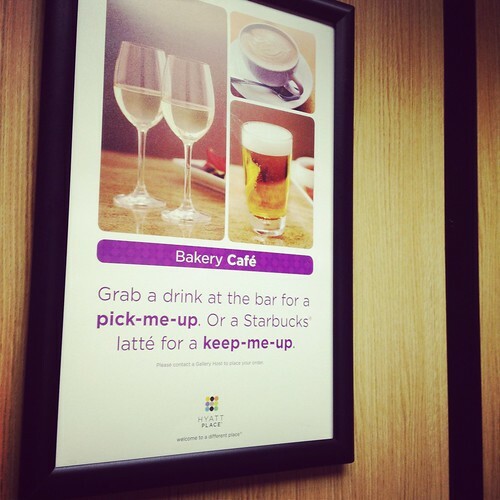 There are Starbucks coffee drinks brewed in the lobby (for a fee). It's a nice touch. Or you can brew it in your room. 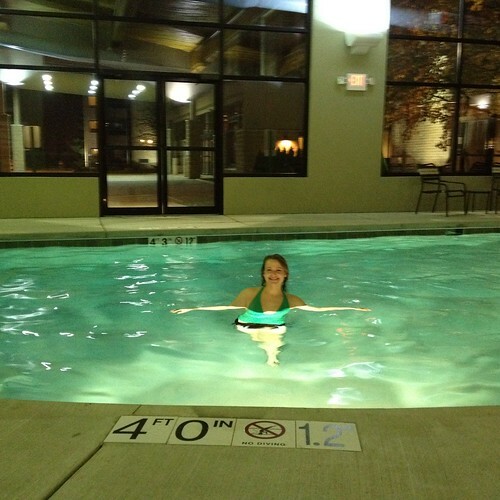 Craig read the black Friday ads while I played in the water. 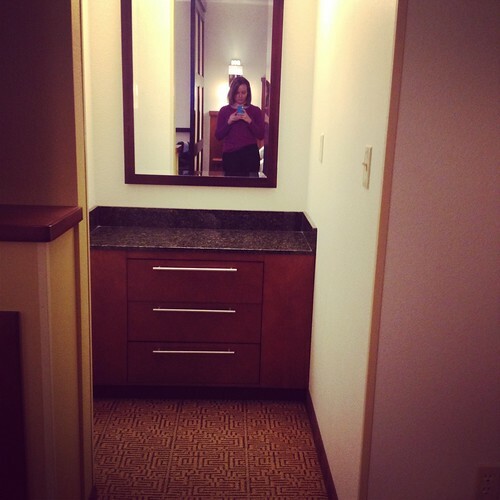 I didn't exercise at the hotel, but the fitness room was nice. 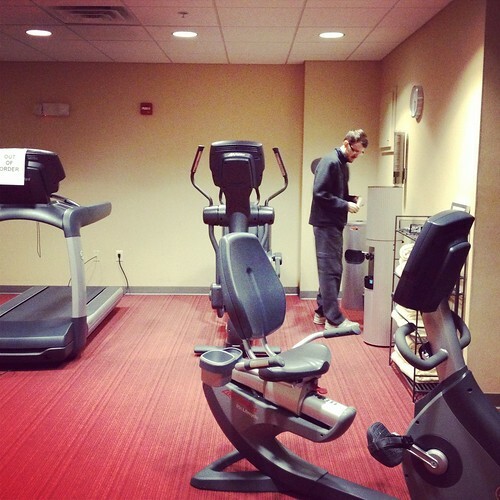 It had one elliptical, two treadmills and a recumbent bike. We watched TV and layed in bed last night. 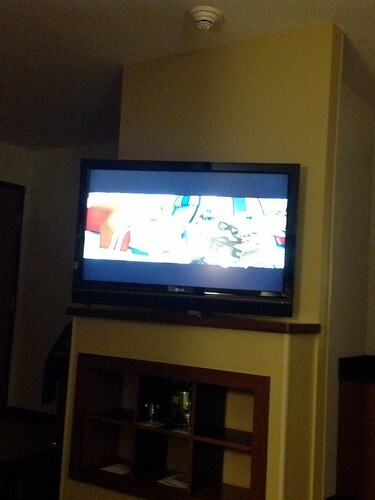 Wall-e was on. :) We love that movie. The continental breakfast this morning was great. 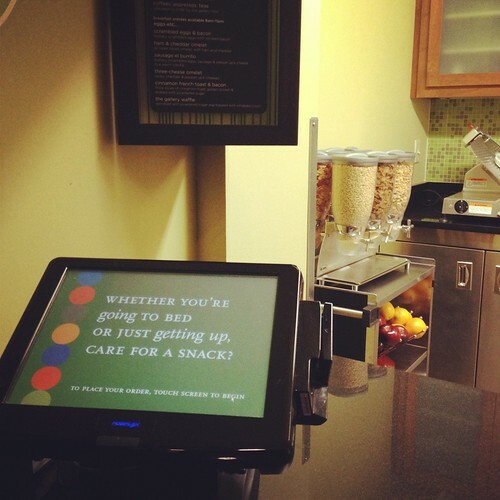 There were lots of options and if you didn't like those, you could use this touch screen to order something else like a breakfast burrito. 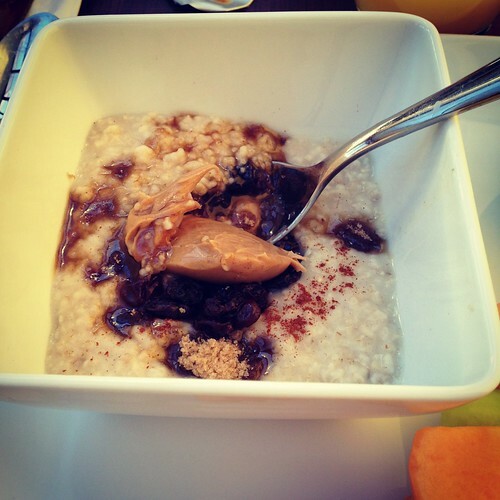 I was excited to see some oats (non-instant) and topped my bowl with brown sugar, raisins and peanut butter. 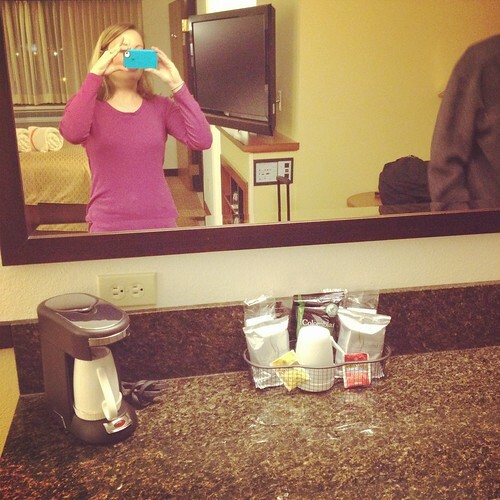 Love the smuckers peanut butter packets at hotel breakfasts! 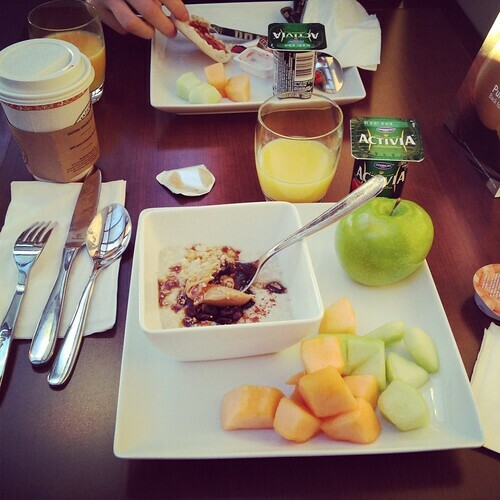 I also had some cantaloupe, an Activia peach yogurt, orange juice and coffee. I was so full from Thanksgiving yet, so I couldn't get anything else in my belly. They also had english muffins, donuts and cereal. The only negatives we could think of about the hotel were that the pillows were too soft, the curtains didn't cover the entire bottom of the window and light was shining in and we heard trains early in the morning. 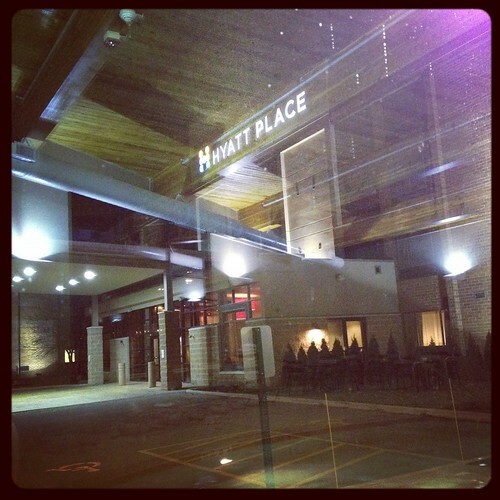 I would recommend staying at this location or any Hyatt Place hotel. 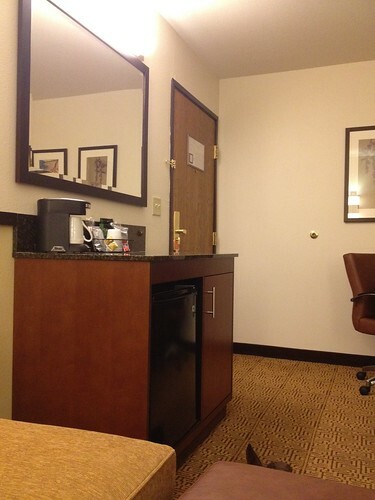 Next time we travel in the states, I'll definitely be on the lookout for one of these to stay at because the room was clean, modern, spacious and the breakfast was perfect.